Back on the market! Magnificent water views from every room! This is a rarely available 3 bedroom, 2 bath, 1801 square foot, 4th floor end-unit overlooking Long Bayou. Additionally it comes with an over-sized private garage. This lovely condo is in a gated, 77-acre nature preserve that features almost 2 miles of walking trails along the bayou and lakes. All of this in the heart of Seminole only minutes from Madeira Beach and the Seminole City Center with its many shops and restaurants. The community features a heated pool and spa, fitness center and clubhouse. The condo fees include cable TV and high-speed internet along with water, sewer, and trash removal. Call to see this lovely condo today! 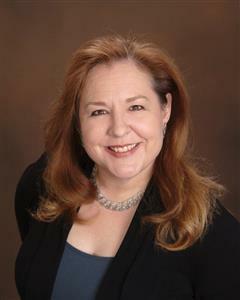 A professional, licensed Realtor with the Coflin Team with RE/MAX All Star, Lisa Coflin Heisner belongs to a family with decades of experience in both the real estate and mortgage industries. Following three generations of Tampa Bay natives before her, Lisa has lived and worked in Pinellas County for 18 years and knows and dearly loves this beautiful region of Florida. With an extensive background in secondary education and knowledge of the real estate business, Lisa provides guidance, information, and assistance to help her clients navigate the complexities of the real estate market. She is passionate about serving others and helping people achieve their home-ownership and real-estate investment goals.